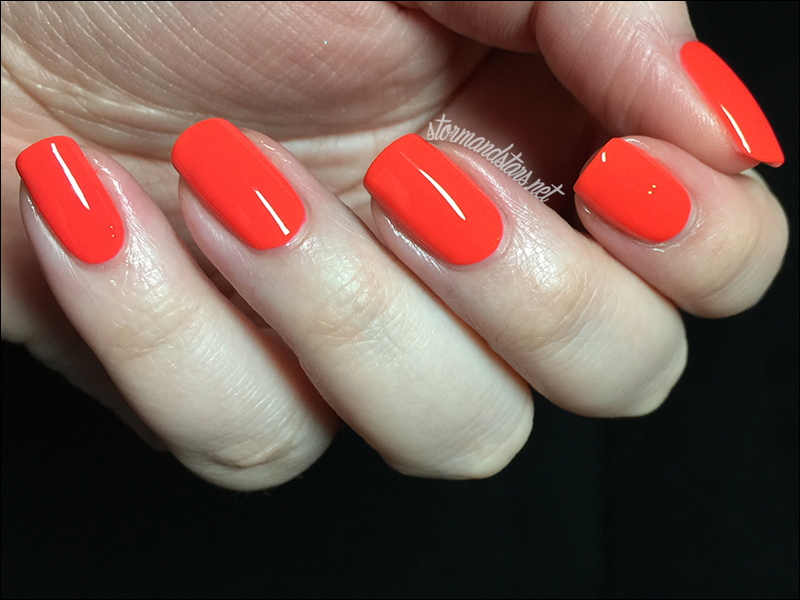 Check out this review for piCture pOlish by Stormandstars! 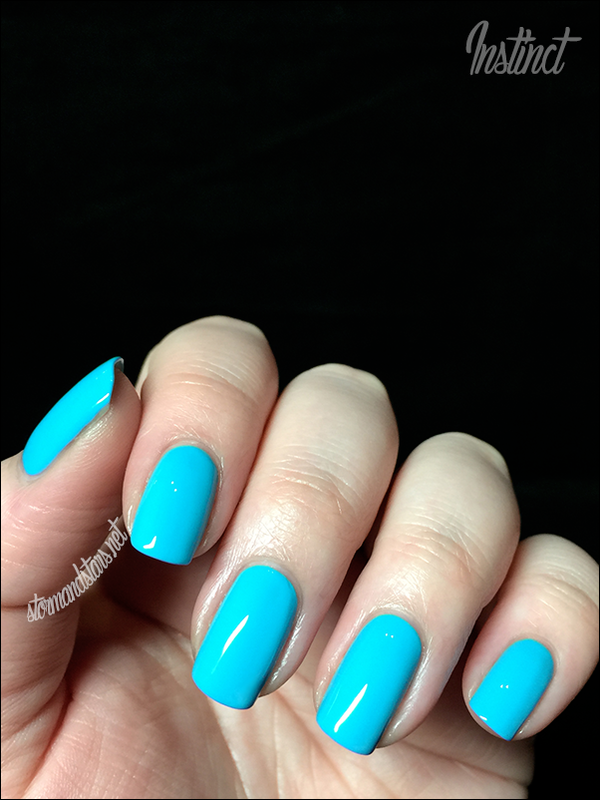 I have some gorgeous piCture pOlish shades to share with you all. These are the other three lacquers I was sent to review along with Scandaland they do not disappoint. I'm going to start with my favorite of the three, Chillax. 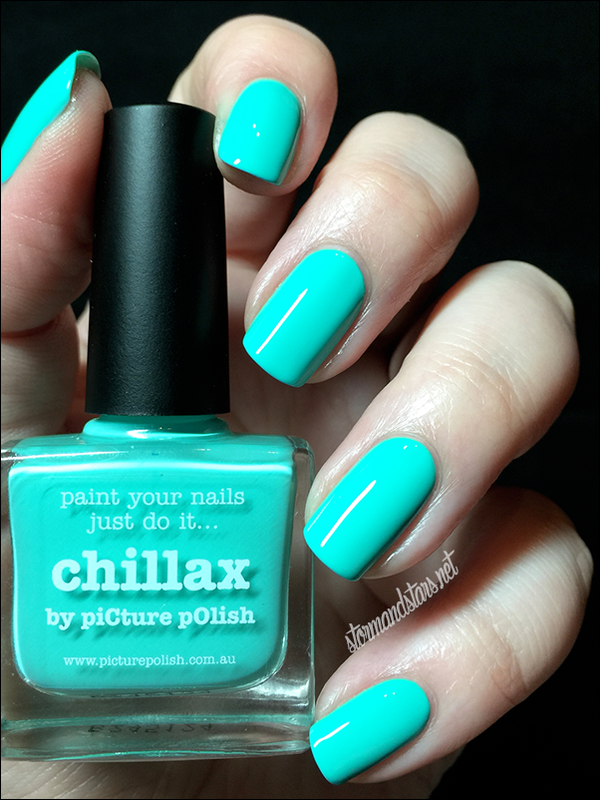 Chillax is a beautiful jade green creme. It applied wonderfully, the formula was great. 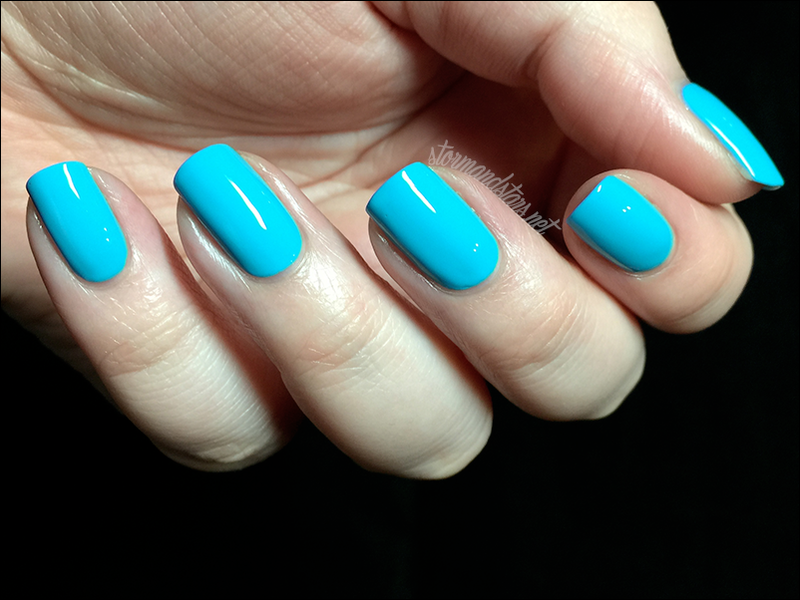 The color in photos shows a little more aqua than it actually is, so please keep that in mind. 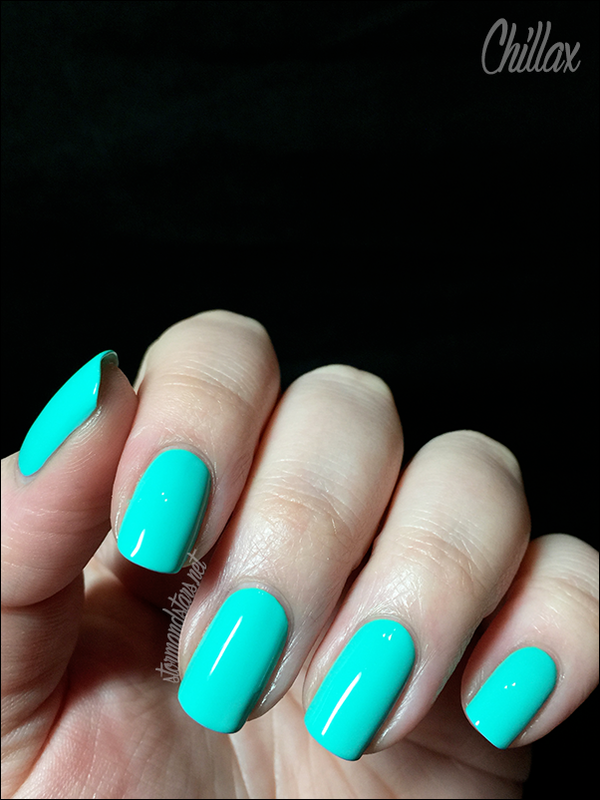 I used two coats of Chillax for these swatches and I topped it with Seche Vite topcoat to finish it off. Next up is a bit brighter, this is Sunset. 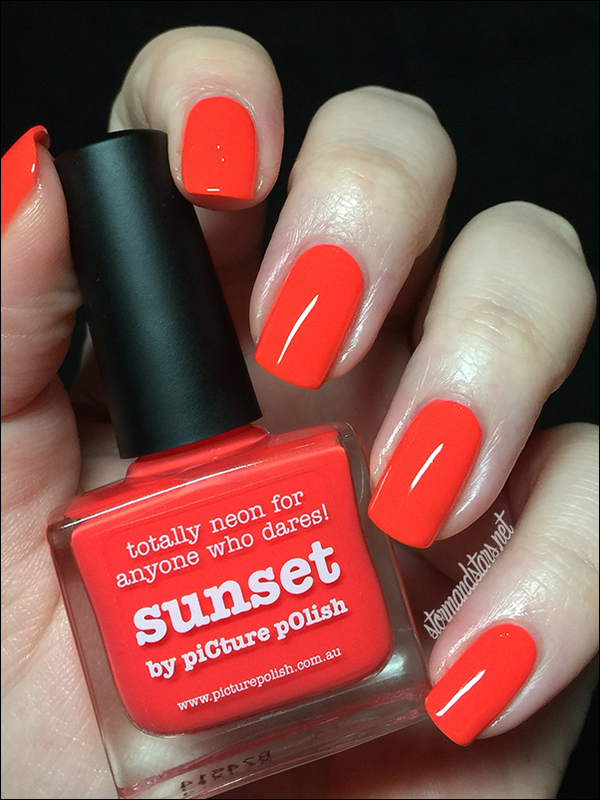 Sunset is a neon orange/red creme. It was on the sheer side, but applied well. 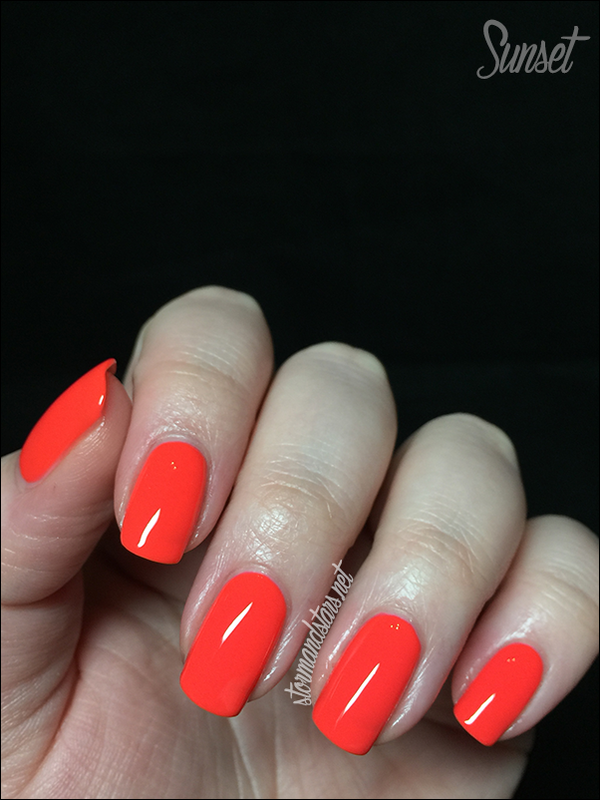 I used three coats of Sunset for these images. 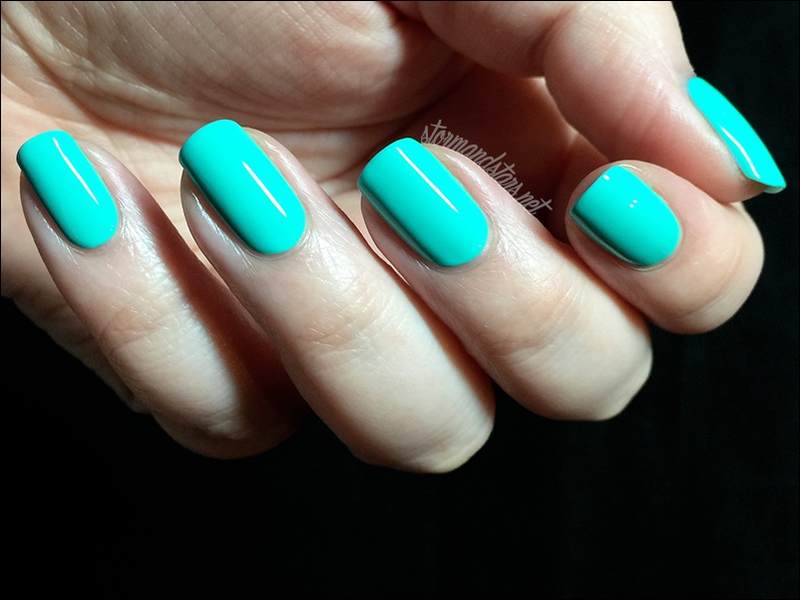 While this shade is super pretty in the bottle I didn't think it worked very well with my skin tone. I would suggest reaching for this one when you're a little more tan than my pasty white self. Haha. 3rd and last up this morning is Instinct. 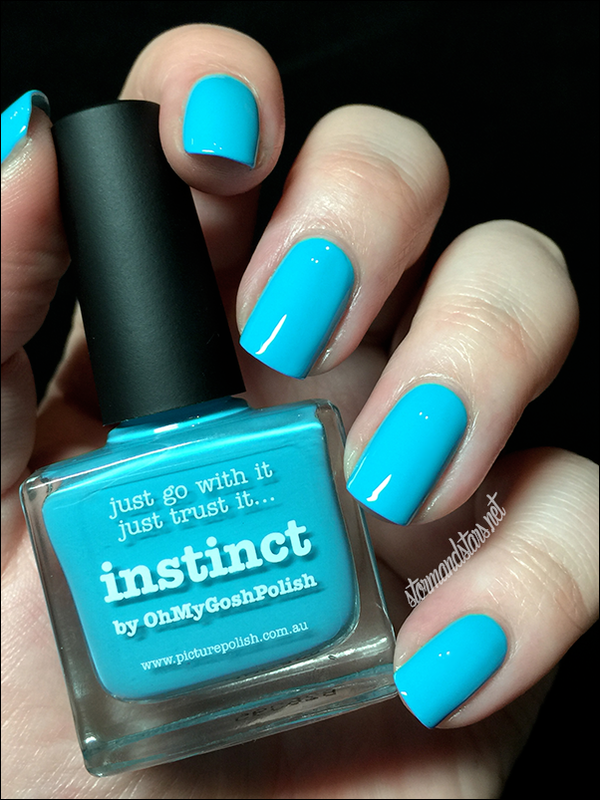 Instinct is a beautiful blue creme polish/ It is super opaque and I managed full coverage in almost one coat. I did two just for good measure. The formula was thick but really easy to work with. From what I saw after I did these swatches, this lacquer glows under blacklight, so they would be a lot of fun at a club or halloween party! What did you think of these shades? Do you have any of your own piCture pOlish? Tell me your favorite colors in the comments! You can purchase these and other shades directly from piCture pOlish or from one of their International Stockists. Don't forget to follow on social media to keep up to date on new collections and the latest shades and swatches.